September 4th is Eat an Extra Dessert Day...I don't think today will be hard for anyone to celebrate! 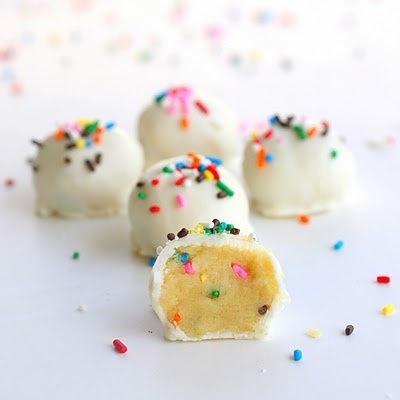 These cake batter truffles are small - no guilty feeling here for eating two :) Check out the link for the full recipe. Happy Eat an Extra Dessert Day! These look AMAZING! Ok well I was trying to be good today with what I eat, but since it's eat an extra dessert day, I may have to start tomorrow! :) I love love love this blog! !